You know your gut is an ecosystem. It’s a thriving city of bacteria. There are the creepy alleyways with the nefarious do-gooders and there are the altruistic helpers, too. Many people think of this in terms of a numbers game: keep the good guys outnumbering the bad guys. And antibiotics are the nuclear weapon that kills everything. Because the bad guys reproduce oh-so-much-faster, you get that yeast infection. It might be the kind that isn’t appropriate to talk about in mixed company, or it could be “thrush” that appears on your tongue, but both are totally ewww. In the spirit of “We shall rebuild,” you start eating yogurt and fermented foods while cutting out the sugars (bad guy food), and before long, the balance is restored. You started eating probiotics. And they won the war. Probiotics are a big deal. Prebiotics are big deal, too. It’s the battleground. Probiotics win the war for you. They are your good guys and get all of the glory. Prebiotics stimulate the growth of the probiotics. It’s the training camp, the living conditions. Newsflash: microbiologists have discovered that you are what you eat. They know that what you are putting into your body makes all of the difference in the war effort¹. Prebiotics refer to a quality found within specific foods and directly affect the immune system, reducing the risk of infection, improving general well-being, and reducing the risk of allergic reactions such as atopic eczema¹ ². 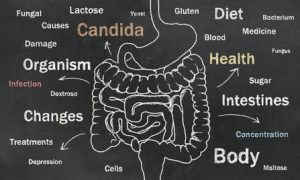 And conversely, negative changes in your gut microbiota composition contribute to inflammation and irritable bowel syndrome. The experts believe that it can even be directly related as a contributing factor to colon cancer. I’m not a doctor and don’t think you should quote me on that (after all, I’m quoting smarter people), but I’ll list references below for you to search on your own. You’ve been getting them since you were a breastfed baby, too; they travel through the mother’s milk. Prebiotics aren’t actually digestible, but result in a natural fermentation process of certain carbohydrate sugars within the gut. They have a slightly sweet flavor, and the food has a distinct mouthfeel, according to some. Think asparagus. Because the prebiotics are found in inulan-type fructans (ITF) and the Oligosaccharides (a specific carbohydrate sugar within plant material) and these are not fully digestible, it really is possible to eat too much. They support colon health in moderation, but some are concerned that an over-consumption can actually overwork the colon, too. This is where it gets a bit tricky, because you’re going to want a list of foods that are prebiotic. While Oligosaccharides and ITF can turn into them, it actually requires a process in your intestines to create a prebiotic effect. Because of this, doctors and other literature hesitate to create a foods list. Along with containing the right type of carbohydrate, the food must also resist gastic acidity, must be fermented by intestinal microflora, and then must selectively encourage the good bacteria to grow (not just any bacteria). Oh, and although it will succumb to fermentation in your stomach, it must still reach your colon intact¹ ². Mostly. 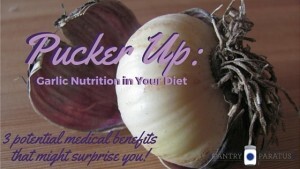 Prebiotics: How Much Do I Need? There is no “daily dose” of what you should be consuming. It isn’t measured that way. Since everyone’s gut has a different composition, the way the measure it—no joke—is your poop. They measure how much is coming out the other end to determine if you are getting enough. I just told you that doctors hesitate to make a foods list. Yeah. Well, then there’s the practical side of, “I’ve been fighting a yeast infection and want to improve my digestive health” side of things. So here you go. If you are eating whole fruits and vegetables—not just juices or processed foods—then you are probably getting plenty of these. They only appear in trace amounts in most foods; maybe an indication that we do not need to overdo it? 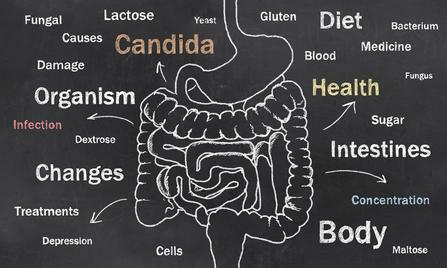 Here’s the bottom line: it isn’t enough to take probiotics, but you must be consuming healthy dietary fiber, too, since that will set the stage for the probiotics to work. 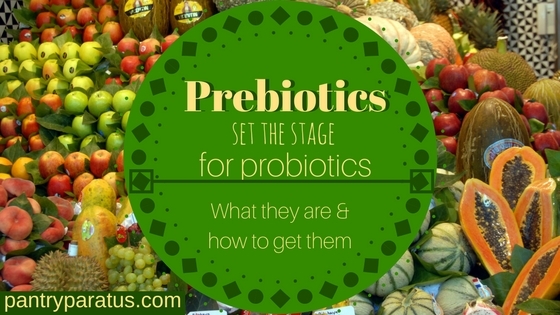 The prebiotic concept is less than 30 years old. Starting out as a theory, multiple studies prove its importance in every kind of person, from babies to teens to postmenopausal women, cancer patients, and the elderly. But let’s face it, 30 years of a developing field—that’s still pretty new. I have had uncomfortable discussions with doctors in which they insist food isn’t the problem, and I insisted I felt better after eliminating a specific thing. Maybe you have had the same. And maybe you are eating the yogurt or taking other probiotics with seemingly little effect; if that’s the case, then maybe you should hedge your bets and increase your prebiotic intake, too. ¹Roberfroid, M. (2007). Prebiotics: The Concept Revisited. The Journal of Nutrition, 137(3), 830S–837S. ²Roberfroid, M., Gibson, G. R., Hoyles, L., McCartney, A. L., Rastall, R., Rowland, I., … Meheust, A. (2010). Prebiotic effects: metabolic and health benefits. The British Journal of Nutrition; Cambridge, 104(S2), S1-63.